We always take these opportunities to warn you of impending price increases. Dannmar, the manufacturer of our very popular MaxJax Two Post Lift has informed us that they have scheduled a price increase for October 1st. This price increase is going to be pretty significant. We’re not sure of the percentage of the increase just yet, but they have warned us that it will be at least 5%. If you’re not familiar with this unique auto lift, check it out on our web site. It basically takes all the features you desire in a two post lift, but makes it shorter so it will fit in home / hobbyist garages whose ceilings are too low for a traditional two post lift. And here’s the kicker, it does not have to be permanently mounted. 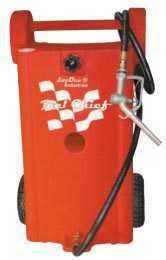 You are able to simply unbolt it from the floor, and roll it over into the corner of your shop when you aren’t using it if you so desire. This portability feature is a great selling point because many customers don’t want two large posts taking up space in their garage. 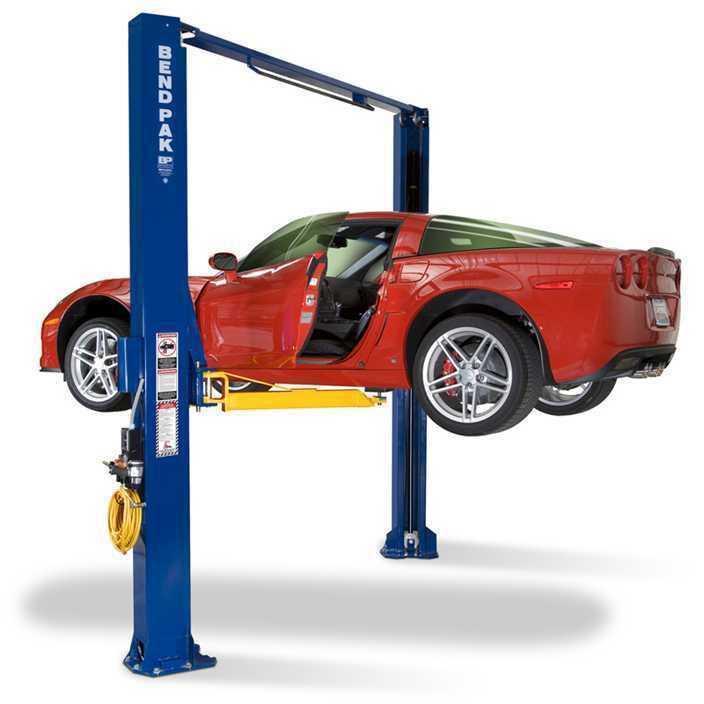 So now is the time to jump in on one of the most popular car lifts we’ve ever carried. The current minimum price the manufacturer allows us to advertise this lift for is $1999. But until the end of September, we are offering an even better deal. We cannot advertise the price here. You’ll have to call us to find out the price. It will be worth your time to call. For many years, BendPak designed and manufactured both a wide and a narrow version of their two post lifts. It was a great idea, because it allowed users to choose a car lift that fit their garage floor space. Then, recently, BendPak decided to create an adjustable width lift. So now, you can set it up wide or narrow. You determine what width to set it up at when you get it. No need to decide until you’re ready to set it up. If you’re looking to save a buck or two, we still have a few of the old standard / narrow width models available. This is the model XPR-10AC Two Post Lift. For a limited time, you can enjoy a substantial savings off this old discontinued model. This model has all of the same features of the brand new model, except for the adjustable feature. This lift formerly sold at $2865. 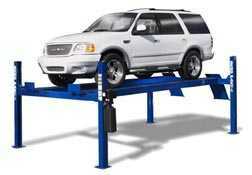 But, until we run out, You can get this lift at the low price of only $2632 with free shipping. But don’t waste any time. Once these lifts are gone, they’re gone. We have touched on this subject in previous posts. Lost in the busy news week last week was an important story for the auto industry. The Obama administration just unveiled that they are mandating new fuel efficiency standards for automobiles that will raise the standards to require a much higher 54.5 miles per gallon by the year 2025. This is nearly double the current level. These standards are known as the CAFE standards (Corporate Average Fuel Economy). The administration contends that this will not only decrease emissions, but will also help save drivers many dollars in fuel each year. 2025 may seem like a long way off, but some critics claim that these standards are unrealistic and will place a burden on auto makers as well as consumers. Estimates are that it will increase the price of a new car dramatically, as well as decrease safety. One of the ways automakers can meet these standards is to manufacture smaller, lighter vehicles, which means they are sacrificing safety. The NHTSA, (National Highway Traffic Safety Administration) has concerns that smaller, more fuel efficient vehicles will lead to increased injuries and fatalities during accidents. Due to increasing fuel efficiency requirements, some experts attribute 2500 more fatalities each year because of smaller, less safe cars that sacrifice safety because of less steel. Critics argue that the market should dictate such standards. If the cost of fuel causes consumers to steer toward more fuel efficient cars, then that is the capitalist market working as it should without government meddling. What do you think? Should the government step in and require higher standards? And how high is too high? You are currently browsing the Car Lift Blog blog archives for August, 2011.